I am going to travel from Amsterdam to Peru and have two layovers in London. The first one when flying to Peru, I have five hours to go from Heathrow to Gatwick. The second layover is when I fly back from Peru to Amsterdam It is an airside transfer in the same airport (Heathrow) but I am thinking about booking an alternative flight from Gatwick a few hours later (or maybe one day later) such that I can have enough time to leave the airport and see London. When I checked on this website I was surprised that Tunisia was not listed under the countries that need a transit visa, neither under the countries that need a non-direct transit visa. I might be eligible for ‘transit without visa’. I am studying in Germany so I guess I have the residence permit they talk about. Do I (Tunisian citizen living in Germany) need a visa in the case of the first layover and is having an alternative flight as described for the second layover sufficient to be able to enter the UK again for a few hours? I am asking this because of the high costs of UK visas (25% of the total flight price, just for a transfer). You can make this connection, but I would recommend that you leave extra time to check-in with the airline when departing Peru. You've linked to the official UK government web site, which explains that you don't need a visa to transit landside if: "you have a common format residence permit issued by an European Economic Area (EEA) country or Switzerland". 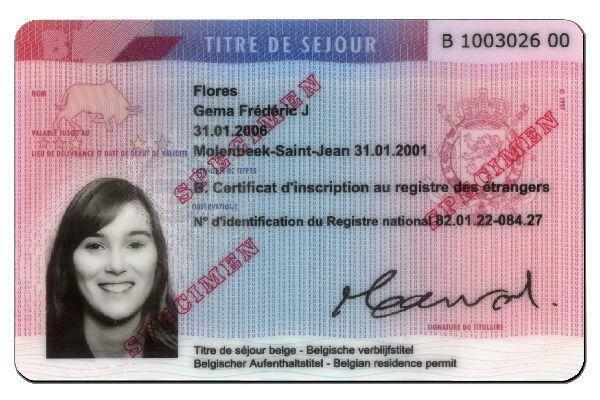 The common format residence permit is easy to recognize: It looks like the following sample, regardless of country or language. Note the color scheme and the bull and groups of three and two stars in the upper left corner. If your card (or the sticker in your passport, for older permits) looks like this, then you are OK. I suggest that you leave some extra check-in time when departing Peru, because the rules for transiting the UK are complex, and it may take some time for the airline agent to verify that you do indeed qualify for this exemption. Going outbound, airline agents in Amsterdam ought to be very familiar with this exception, so it should cause you no issues or delays checking in. Not the answer you're looking for? Browse other questions tagged uk transit-visas tunisian-citizens or ask your own question. Does an Indian passport holder with a Netherlands Resident Card need a UK transit visa?